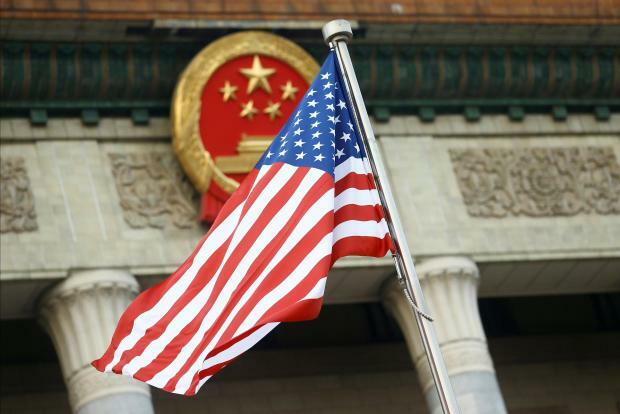 Both sides in the US-China trade negotiations are making a "big commitment" to reach an agreement by the March 1 deadline, US Treasury Secretary Steven Mnuchin said Wednesday. President Donald Trump and Chinese leader Xi Jinping agreed to a 90-day truce in the ongoing trade war, but US tariffs on $200 billion in Chinese imports are due to more than double to 25 per cent if no deal is reached. Mnuchin told CNBC US and Chinese officials are working "around the clock" but there remains "a lot of work left to do," and he stressed that any agreement must be enforceable. "If we can't get to the deadline, it's not because we haven't worked around the clock," Mnuchin said. "I think there's a big commitment on both sides to try to meet this deadline." He is due to travel to Beijing next week for the third round of talks aimed at resolving the dispute, which has imposed steep punitive tariffs on $360 billion in two-way trade, weighing on the manufacturing sectors in both countries. However, Mnuchin said the US economy was "still very strong," with no signs of slowing. "The US economy continues to perform extremely well" amid signs of "a slowdown in Europe and other parts of the world," he said. China's economy has slowed sharply and the impact has been felt in the US as well, and most forecasters expect US growth to slow this year. Mnuchin also said he is "highly confident" the Congress will approve the US-Mexico-Canada trade deal that updated the 1994 North American Free Trade Agreement. The leaders of the three nations agreed to the revised pact November 30, but their legislatures must approve the deal for it to enter into force. "It's an enormous step forward on a whole range of issues so I really don't see why this wouldn't be approved," Mnuchin said. "As long as the Democrats bring this to the floor, I think we're highly confident this will be passed."